Unfortunately Ship’s Mechanic sock is now discontinued due to the supplier no longer producing this yarn. It has been replaced by Librarian and Vortex sock in the Third Vault Yarns Line up. Ship’s Mechanic Sock is named in a nod to a certain Firefly class ship Mechanic, hardworking and pretty. A hard-wearing yarn, that is perfect for socks. One skein should make a pair of socks. Each skein is dyed in small dyelots, and as is the nature of hand dyed yarn, colours can vary between dyelot. 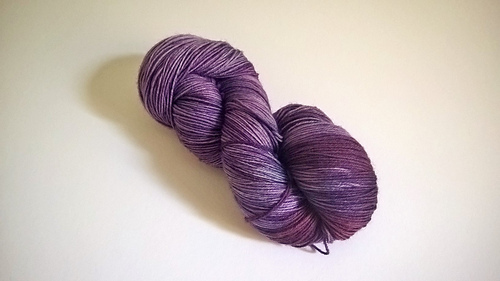 So if you wish to purchase more than one skein please order from the same dyelot. This skein is machine washable, though to preserve colour and texture in your garments, hand washing is recommended. For socks machine wash cold.